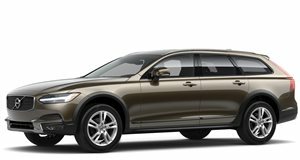 The Volvo V90 Cross Country combines station wagon styling with rugged off-road capability. The 2.0-liter Drive-E engine is available in two states, a T5 with a turbo and 250hp, and a twin-charged T6 with 316hp. Both models feature AWD as standard, and an 8-speed automatic gearbox. A Luxury Package on the T6 equips 4-zone climate control, heated rear seats, massaging front seats, and body-colored external cladding. Safety features include forward collision avoidance, large animal detection, and blind spot assist with rear cross traffic alert. 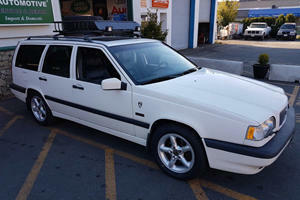 Volvo seems notorious for building station wagons – the body style seems synonymous with the Swedish brand. 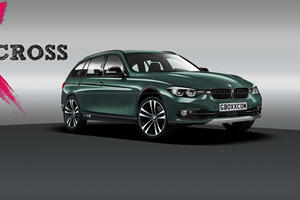 But anywhere else in the world outside of Europe, wagons aren’t the most popular vehicles – people like SUVs. This is Volvo’s not out of character response to that, bridging the gap between the standard V90 and the full 7-seat XC90 SUV, with an additional 2.6-inches of ride height and underbody cladding. It’s underpinned by the same SPA platform from those 2 models, and in the US it gets just a single trim line, and two engine variants from Volvo’s Drive-E engine range. If only the Germans knew how cold and clinical they’ve become; the V90 Cross Country is anything but! The interior is a warm, welcoming Scandinavian cabin adorned with soft leathers and warm colors, with a central portrait orientated touch screen infotainment system dubbed Sensus Connect that controls everything from audio to climate. Molded 10-way power adjustable leather seats are standard and offer superb levels of comfort and support – true cross country comfort. Optionally, you can specify heated and ventilated seats with a massage function that feels better than a day at the spa. Based on Volvo’s largest platform, space is abundant for all 5 occupants – with rear head and leg room particularly plentiful. Unlike the XC90, the V90 Cross Country doesn’t receive a 3rd row of seats, but cargo volume is a cavernous 19.8 cubic feet behind the 2nd row. Drop the 60/40 split 2nd row, and that number swells even further to 53.9 cu ft. The V90 Cross Country rides standard with a Haldex-based all-wheel drive system, ensuring grip in all conditions. It features a hybrid combination of suspension components from the S90 sedan and the XC90 SUV, giving it an extra 2.6-inches worth of ride height and semi off-road capability. The ride height adds extra levels of ride comfort too, offering a cushier ride on the standard 19s (18s on the T5) and optional 20-inch alloys. The standard composite leaf spring rear suspension setup is fairly comfortable as is, riding out imperfections on all surfaces without much fuss. Optional rear air suspension is available that softens the ride further – a worthwhile option that can also lower the suspension for rear loading. The V90 Cross Country is decidedly comfort orientated, and though grippy, the combination of body roll and a front-biased AWD system mean handling isn’t the sharpest. The steering, electronically assisted, lacks feedback too, making the V90 CC a decidedly uninvolving car to drive. For 2017 launch, Volvo only offered the T6 AWD – featuring the 2.0-liter Drive-E gasoline 4 cylinder equipped with both a turbo- and supercharger for outputs of 316 horsepower and 295 lb-ft of torque. New for 2018 though, Volvo has brought in the cheaper T5 variant, which ditches the supercharger to drop outputs to 250hp and 258 lb-ft. A standard 8-speed automatic is the only gearbox available – developed in-house rather than sourced from ZF. The T5 offers EPA consumption figures of 23/31 MPG City/Highway, while the T6 drops to 22/29 MPG respectively. In both T5 AWD and T6 AWD trims, the Volvo V90 Cross Country is generously equipped – featuring standard two-zone climate and auto-dimming rear-view mirrors. Several options packages exist, including a $1000 Plus Package that includes 4 zone climate control and a 12.3-inch digital instrument cluster. 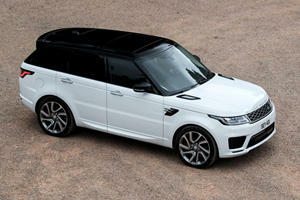 Other options include an incredible 19-speaker Bowers & Wilkins sound system. Safety equipment is first class, with adaptive cruise control, blind spot assist, rear cross traffic alert, forward collision avoidance, and lane keep assistant. The V90 Cross Country hasn’t yet been crash tested locally but scored full marks in European tests. The V90 Cross Country looks handsome, but it backs it up with genuine ability and quality that’s second to none. With vast amounts of space, a high quality, well laid out cabin, competent drivetrains, and top-rate safety, the V90 Cross Country is a truly class-leading all-road station wagon. So cool it even has a manual gearbox. Too bad it was built for just one model year. Looks like this rumored model may become reality.